Kreativ Blogger – domestic diva, M.D. 1. Thank the blogger who gave you the award and provide a link. 3. 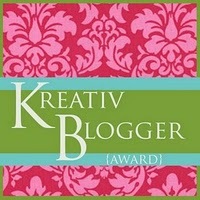 Nominate 7 other bloggers, provide links, and let them know! I was nominated by Cook Every Day! She’s got some great recipes- head over and check it out! I normally keep my clock in my living room 12 minutes ahead. We were always late to things as kids and you can’t be late in medicine! Before deciding on anesthesiology, I originally thought about become an infectious disease pediatrician. I own over 40 wineglasses…remember, I live by myself. When I move at the end of May, the most important determining factor in selecting a new apartment will be a kitchen. I once took over an ex-boyfriend’s porch and had an entire vegetable garden. I have an adorable niece whose birthday is just two days before mine…and her favorite phrase since 10 months is “and then?” which she says whenever you stop talking to her. It’s like Dude, Where’s My Car?, but much cuter. And 7 bloggers for you to follow! Around the World in 30 Days– my friend and her husband are currently exploring Southeast Asia- I’m so jealous! Ingles– he’ll soon be leaving for the Peace Corps in Georgia…can you tell I wish I was traveling? The Hungry Irishman– seriously, let me go to Ireland now! My Baking Empire- Creamsicle cocktails, anyone? Home is Where the Boat Is– with my nautical obsession, how could I NOT love this? Thank you for the nomination, and I’m proud to be in such great company! Thank you for the nomination! I love the puzzle idea. 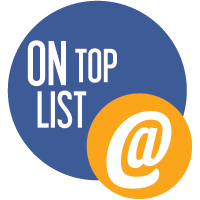 I had a list of tasks (and things to cook) set before me before I could get around to properly thanking you for the nomination on this post! THANK YOU! What a sweet compliment! I completely enjoy every post of yours that pops into my inbox- you have a knack for quick silly stories that totally make me laugh. I also use puzzles for artwork (because who wants to take them apart and put them back in the box???) and have an obscene number of wine glasses (considering I am the only one in this house that drinks it). And honestly, it’s so much cheaper to buy a puzzle and a puzzle frame than it is to buy a print and have them framed! Thank you so much- I feel the same way about your posts. Your recipes are delicious! I had to nominate you again (see here: http://globalfamilytreks.com/2012/05/06/kreative-blogger-award/) I really love your posts and find the recipes simply divine.